What distinguishes a hobbyist from a professional photographer? In recent years, photography has become more accessible, enticing more people to get into this creative field. On one hand, prices for cameras have gone down significantly, with manufacturers offering quality equipment at different price points. Apart from that, the advent of digital photography has lowered the barrier of entry. It also helps that there are plenty of resources available for new photographers — resources which weren't readily available in the past. Social media sites, like Instagram, have also sparked interest in photography. There are many sides to each argument about what sets an amateur apart from a professional photographer. However, there are perhaps a few key factors that all photographers can agree upon. First, professionals get paid for their job. However, that is not an indicator of the talent or skill of a photographer. Certainly, there are plenty of amateurs who take stunning photos and there are pros who rake in money despite their shortcomings in skill and talent. Another factor that distinguishes a pro from an amateur is the fact that professionals do not merely focus on their craft. Running a photography business is like running any other business — you have to handle the other aspects of your operation. That includes handling staff, networking, marketing, and other business-related activities. Now, let's say that you are an amateur photographer, or you know someone — a friend or colleague, who is into photography. 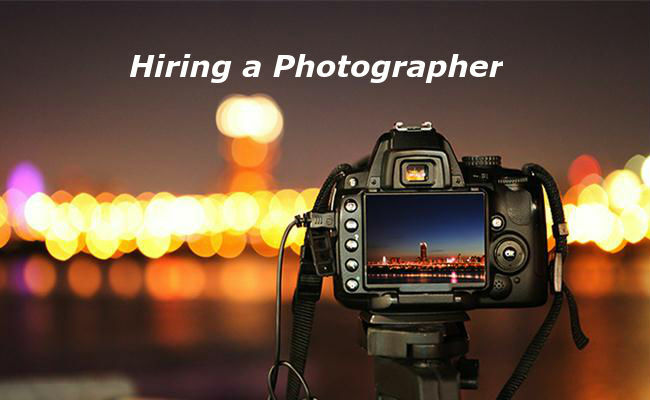 Should you hire him or her for a photography job or should you find and hire a professional photographer? There are a few important factors to consider before making a decision. For one, you have to determine the nature of the job. For instance, you need a photographer for a wedding. Maybe you are looking to save on some expenses and you are thinking that hiring a friend will help you achieve that goal. Certainly, this is a special day for couples, with little to no room for a re-shoot. Quite simply, the photographer needs to make sure that everything is done right. With a professional specializing in weddings, you are assured that you are working with someone who is knowledgeable and experienced. For business-related photography jobs, you will fare well with a professional commercial photographer. Remember, you want your company to distinguish itself from the competition and, again, you would want to get someone who is experienced and knowledgeable in this field of photography. If you are planning on selling your property, it is also a good idea to hire a pro instead of taking the photos by yourself. Photographers who specialize in this niche know exactly how to present your property in the best light and choose the appropriate format for the platform you intend to use the photos for. As a rule of thumb, if the final output matters to you and you have the budget, hire a pro. Certainly, you would want a photographer who takes good photos. But beyond that, there are a few other things that you need to look for when you are planning to hire a professional photographer. One of the first things that you should look for in a photographer is his or her shooting style. See if this matches your goals. As you look at a photographer's body of work, you should see some semblance to cohesion, something that distinguishes himself from his peers. The same thing applies to processing. In simple terms, a photographer's style should match the output that you have in mind. A photographer’s portfolio should reflect his shooting and processing style so that you will know exactly what to expect from him. Another important thing that you would want to see is consistent quality, with a strong emphasis on the word consistent. Quite simply, you want a photographer who can deliver outstanding work all of the time, not some of the time. Check whether the photographer's area of specialization matches your needs. If you are booking a photographer for the shoot of a new product you are launching, you would want someone who specializes in that niche instead of someone who simply dabbles in that field. Personality and rapport matter, especially in wedding photography where the photographer works directly with couples. As much as possible, you would want to hire someone you feel comfortable being around with, especially if the photo shoot lasts for a whole day or beyond. Does that photographer have a website? Many professionals invest in a website to ensure that their works can be easily viewed by potential clients in one accessible location. A good professional photographer is also transparent, especially when it comes to the fees and deliverables. As a customer, you should know exactly what you are paying for, what the additional charges are for special requests, and what the photographer's deliverables are.